"I typically work from images that I’ve captured somewhere along the way and there is a story, a moment or an experience behind each piece. At times an archival photograph might inspire a work for a friend but I am most interested in creating compelling images of simple everyday things and the everyday human experience. 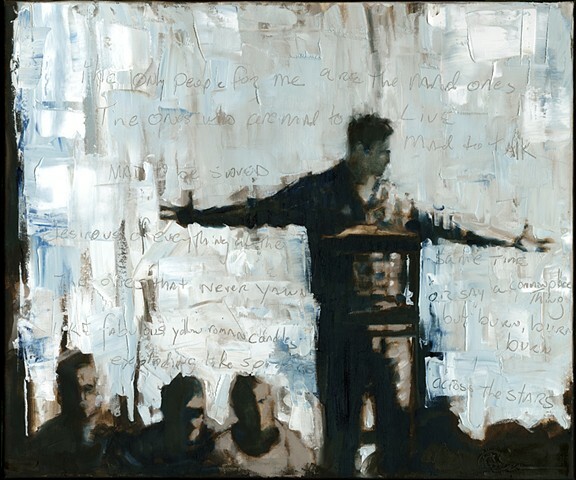 When it works, a painting will encourage us to engage and empathize. A good painting will involve us in its story and invite the participation of our imagination, memory and emotion. I hope these paintings can reveal the simple visual appeal found in the passing moments of daily life and convey the intrinsic value of empathizing with the everyday lives of our fellow humans."